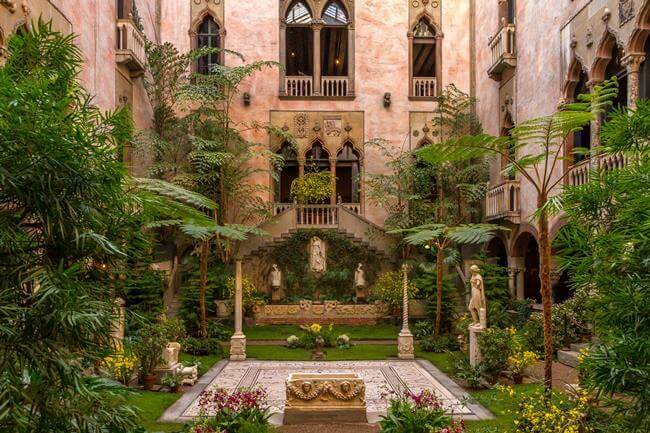 Isabella Stewart Gardner and her husband Jack Gardner travelled to Venice, Florence and Rome in 1897 to gather various architectural elements that eventually would become part of the museum that was Isabella’s dream. The location of the museum, in the Back Bay Fens and part of Frederick Law Olmsted’s Emerald Necklace park system, was selected with tremendous foresight. What was originally swampland, is now an area in Boston that is central to the arts. Designed by architect Williard T. Sears in 1903 to hold her art collection. Isabella was known to be very involved in its construction building, bringing her lunch pail and monitoring every last detail. This attention to detail remains today to preserve and restore this beautiful treasure in the city of Boston. M&A is honored to have worked on multiple projects at this landmark building, serving as the museum’s preferred window restoration contractor. 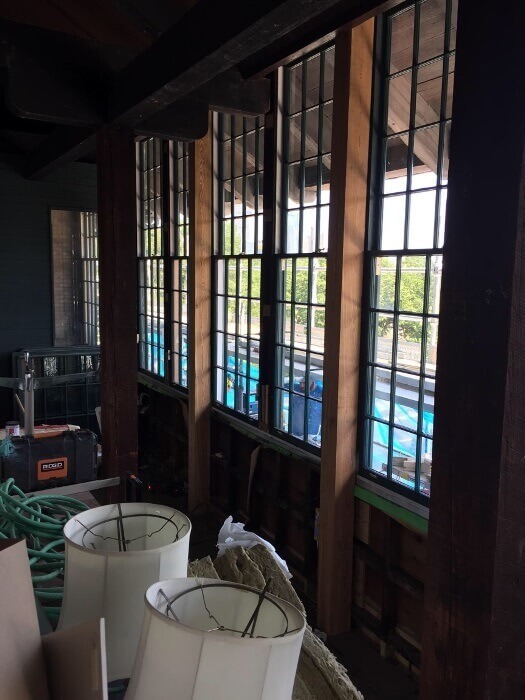 Noteworthy: Restoration of the 40′ long historic wood window wall at the loggia, including restoration of the large window sash, and structural stabilization of the window wall and the porch. 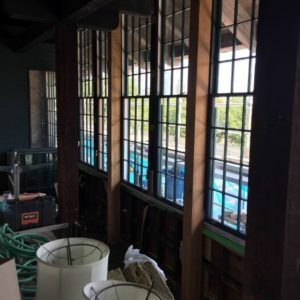 Restoration of 14 large antique double-hung windows in the loggia that together form a beautiful wall of windows forty feet long and over eight feet high. Most sash had at least 20 lights of glass. 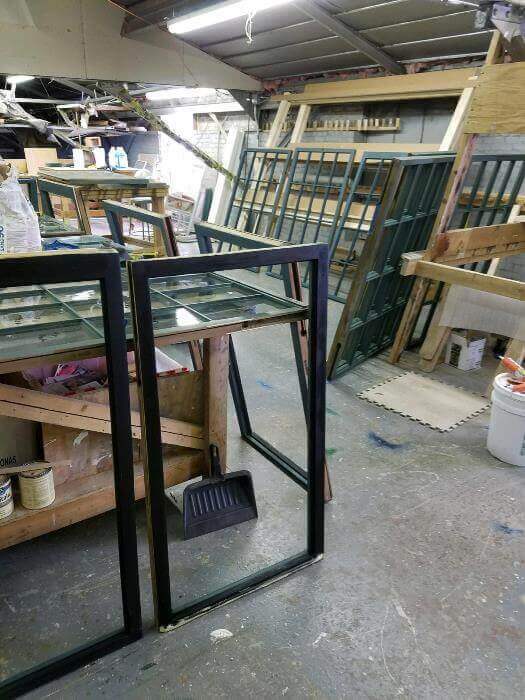 Each sash was removed and taken to M&A’s conservation shop for restoration, completely deglazed, evaluated for wood conservation, Dutchman repairs and epoxy consolidation, and then re-glazed using the original historic glass, then primed and painted. 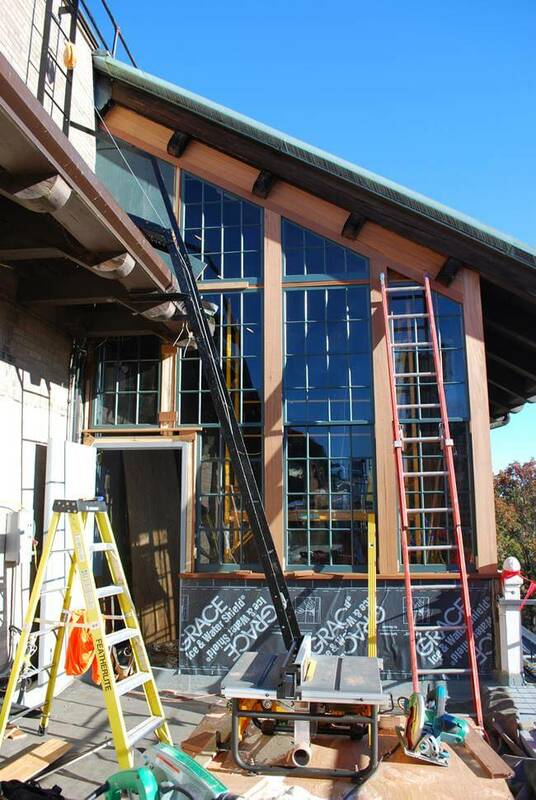 Before reinstallation of the windows, major structural stabilization was required. 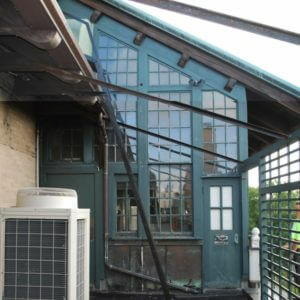 The window wall was built atop an existing open porch. 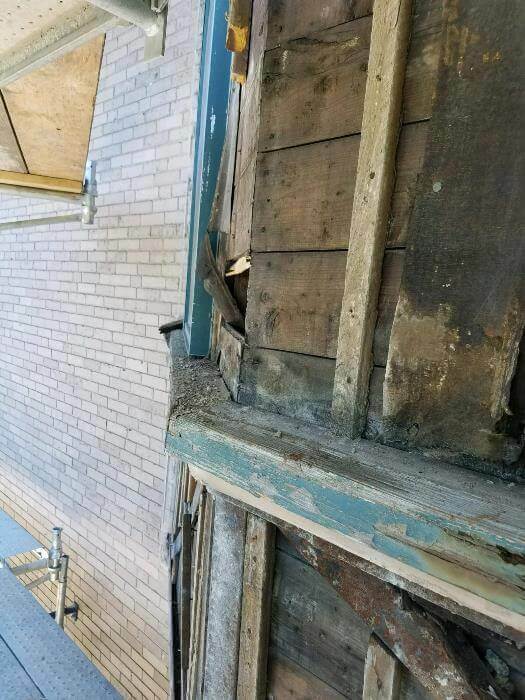 The weak point of the structure, once the window wall was added, was the wood sill at the base of the lower sash; in time, the wall no longer was maintaining its vertical shape as it lacked a vertical member which comprised both the wall and the low porch wall below it. 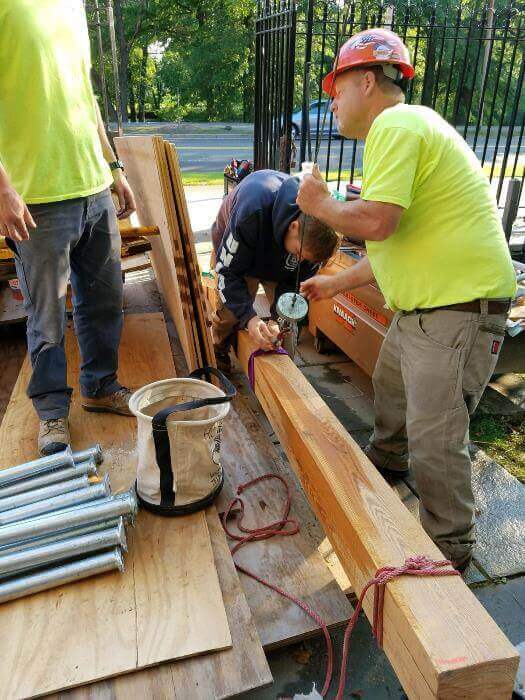 M&A was able to locate reclaimed 6×6 Southern yellow pine posts, which we installed from floor to roof to secure both the low porch wall and the window wall. 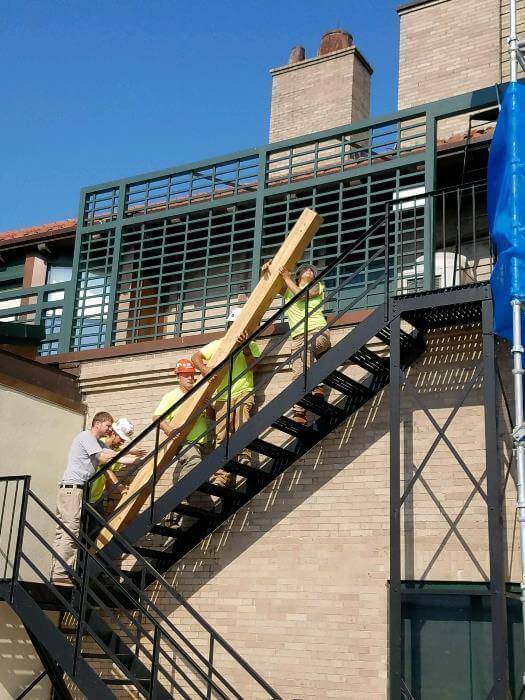 The condition at the porch wall required M&A to do reworking and blocking to support the installation of a new stucco wall and replicated stone balustrade with historic stone pilasters. By reinforcing both the porch and the window wall, M&A was able to maintain the original appearance of the building as viewed from the exterior, and support the installation of the new stone and stucco work. 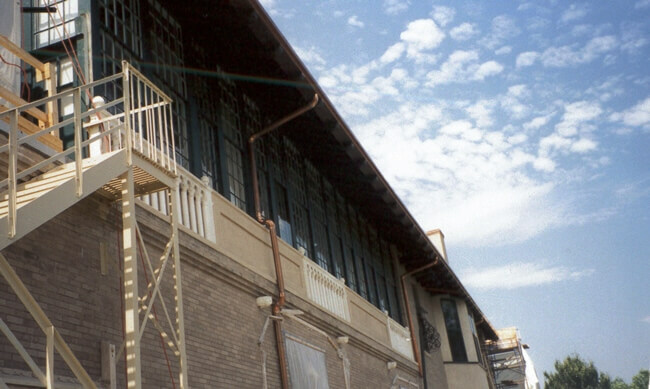 After more than one hundred years of operation, the museum’s Board of Trustees decided that a new wing was required to house additional space for exhibits and programming. World-renowned architect Renzo Piano designed the museum’s expansion wing, completed in 2012. 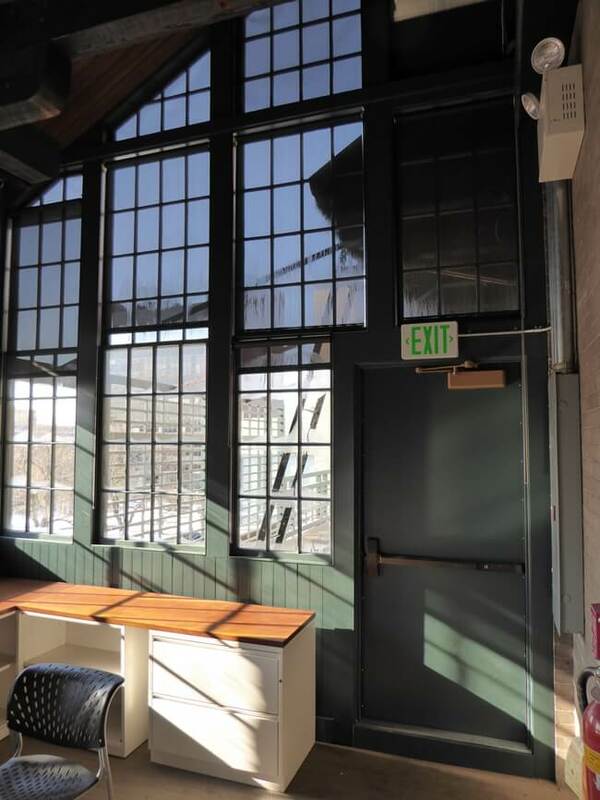 In the summer of 2015, M&A was invited to perform restoration work at a small corner of the 1903 building’s roof, including window restoration and replication of an existing window wall. 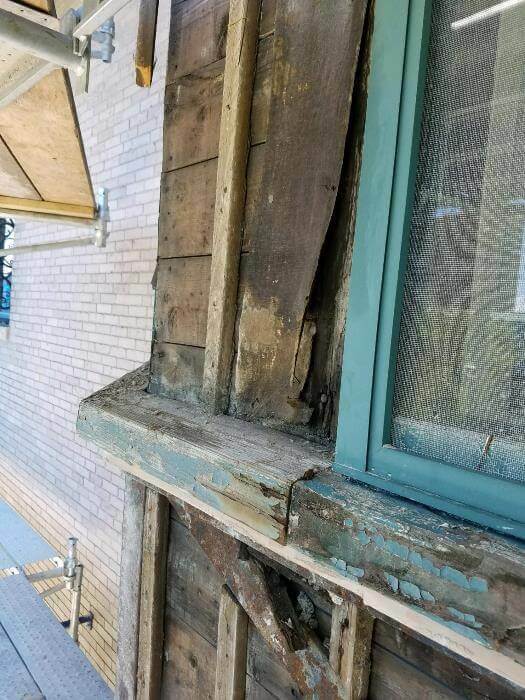 The window sash on the south wall were in extremely poor shape. 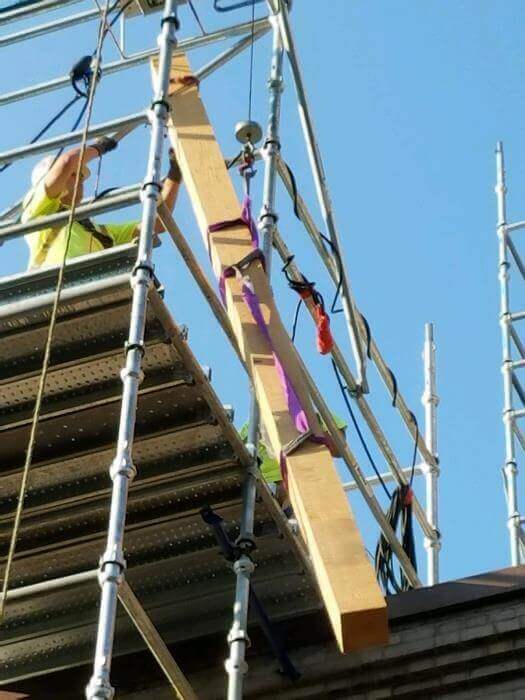 Many exhibited signs of previous repairs of questionable quality. 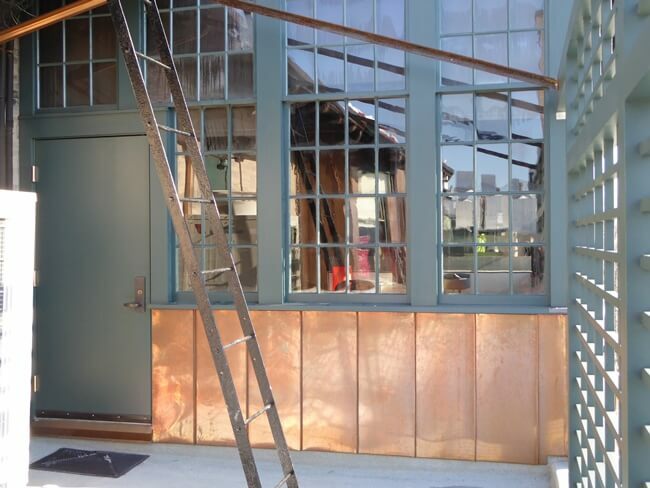 New stiles, rails, and muntins were fabricated for the restored windows, integrating new components with the old and salvaging as much of the existing building fabric as possible. 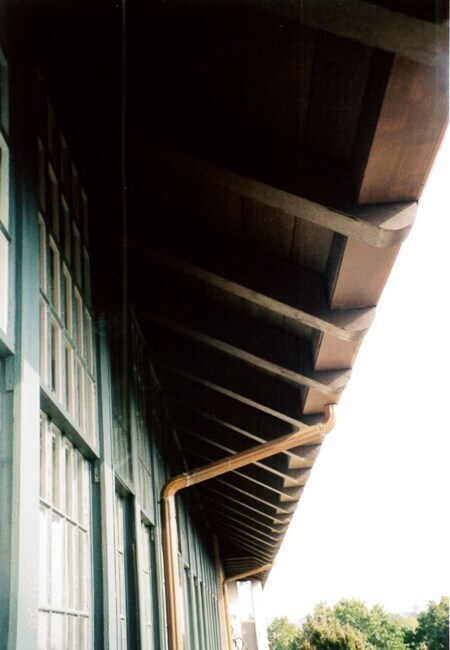 After removing the existing sash at the south wall, M&A discovered that the wall itself was in poor condition, and would benefit from replacement in lieu of restoration. 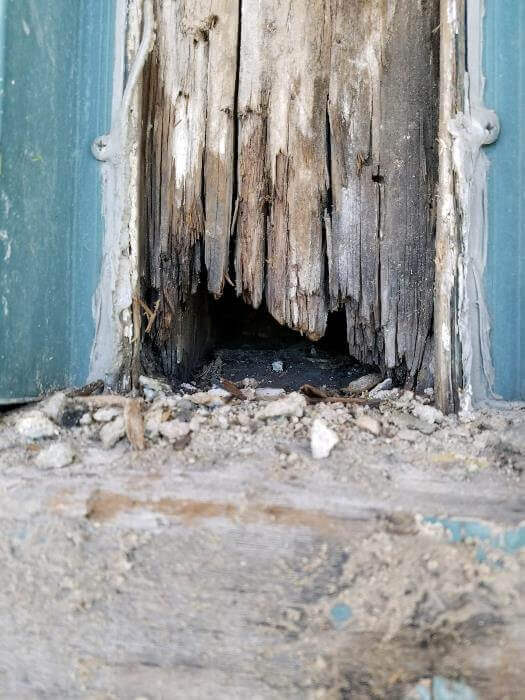 An existing door at the south wall was already scheduled for removal and for a new wall infill and window sash to match the existing design to be installed in its place. Due to this previous redesign, M&A not only had to rebuild the existing south wall, but also calculate how this new portion of the wall would figure into the existing. 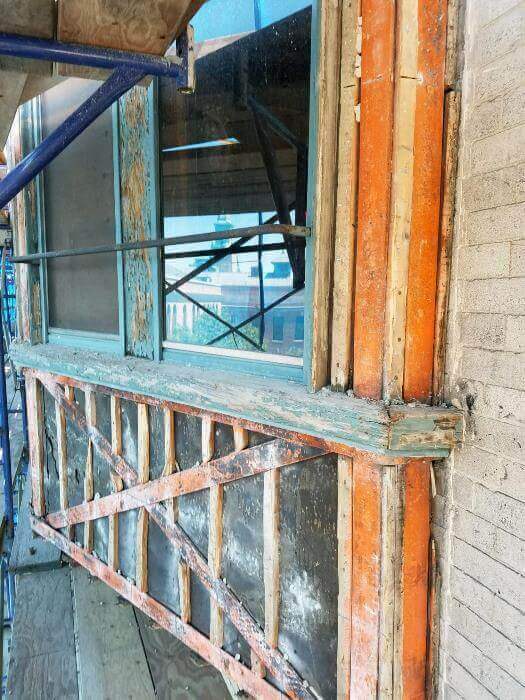 M&A’s preservation carpenters took exact dimensions and profiles of the existing wall, fabricated new replacement components, and demolished the existing wall before installing the new components along with the restored window sash. 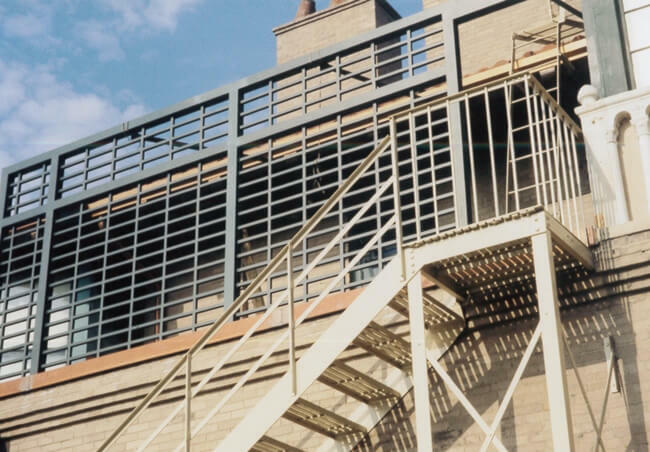 Although an area of the museum that few will ever see up-close, M&A nonetheless executed the work at the ISGM’s roof with all the precision and attention to detail as any other project. 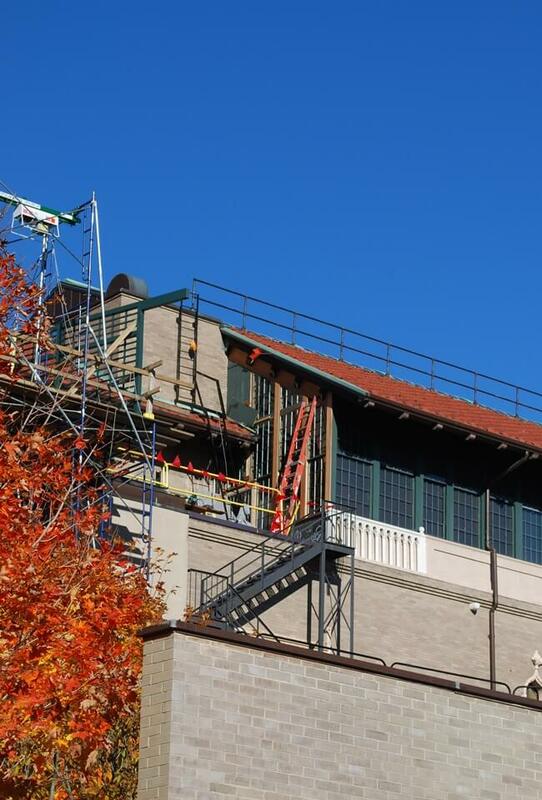 M&A continues to operate as the museum’s preferred window restoration contractor, demonstrating M&A’s commitment to the preservation of New England’s cultural landmarks. 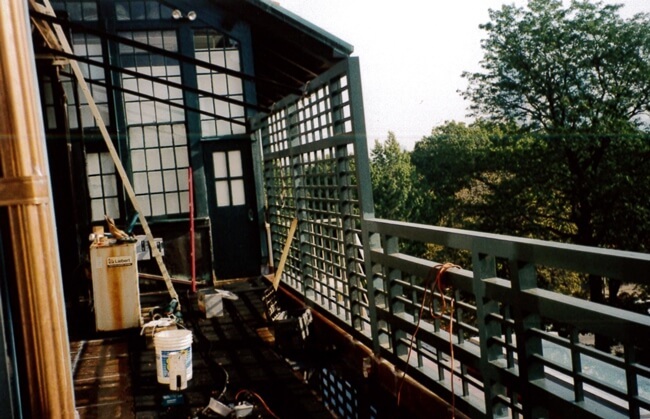 M&A’s work included the conservation of rafter ends and timbers, and replication of the extensive lattice work. 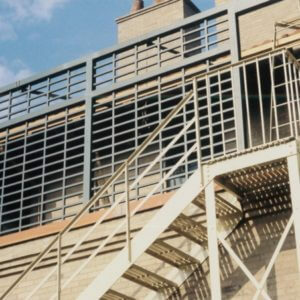 The lattice underwent record photography and drawings by conservators before it was carefully marked, disassembled and removed from the building façade. It was taken to the M&A conservation shop for replication using materials and joinery to match existing, all under the direction of conservators. 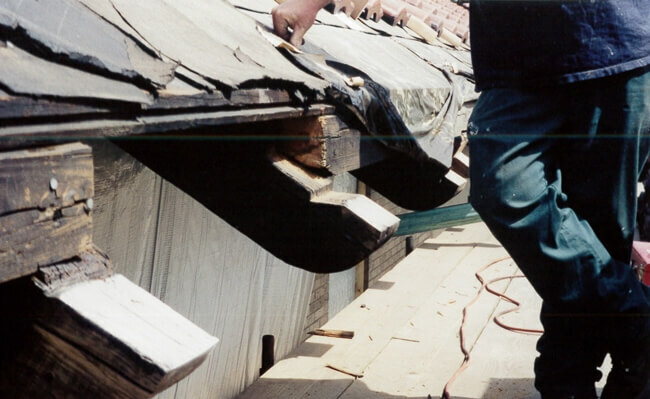 Although the work was primarily at the tails of the rafters, a few rafters were so deteriorated and required and required such serious rehabilitation that our carpentry foreman said that doing the removal of deteriorated wood was ‘like carving a dugout canoe.’ In most cases, the procedure involved cutting the rafter tail and splicing with materials to match the existing in regard to species, grain, and profiles. The rater tails were 4”x6” and required M&A craftsmen to use a band saw at the cornice level for the cutting and fitting. Once again, we reviewed our approach to the work with a conservator who then reviewed and approved the completed repairs.